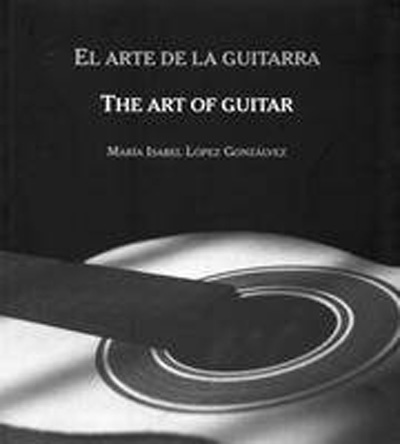 The photographic essay "EL ARTE DE LA GUITARRA" by María Isabel Lopez Gonzalvez was presented on April 17, 2006 in Cartagena, Spain with an exhibition of the original large-format photographs which are the basis for the book. The book is a beautiful photographic testimony of the care and hard work involved in producing a hand crafted guitar. Maria Isabel made repeated visits to the workshop of John Ray in Granada over a period of two years in an effort to capture the essence of the guitar maker and his work. The photographs, in black and white, are accompanied by short captions in Spanish and English.